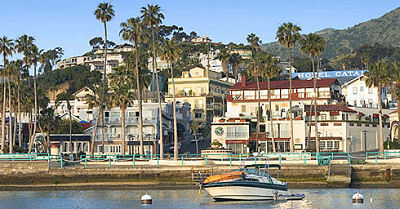 The Avalon Hotel is one of Catalina Island’s premier lodging sources. 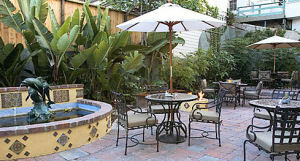 Most of our rooms have breath-taking views of Avalon harbor and its scenic surroundings. We offer a range of room sizes all with deluxe king or queen beds and an array of amenities. Some of our rooms can also accommodate a Murphy bed for additional family or friends. As Avalon’s newest boutique hotel we have designed an environment of understated elegance, where luxurious bedding, unique artwork and hand-crafted hardwoods and tile combine to create an enchanting experience. 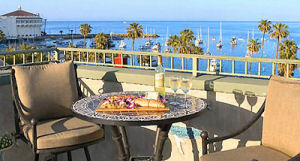 Whether you are relaxing in your room, taking in the spectacular view from our roof-top deck or spending a quiet moment in our garden patio, you’ll be able to savor your Catalina vacation. With a distinctive Craftsman style and unique accents designed just for the hotel, the surroundings of The Avalon create an enticing accommodation that will become the foundation of your island experience.